Generates the favicon for a website based on an image that you can upload. Can be a static or animated favicon. These aren't tools per se, but great places to find free icons for your web apps. Having a ROU section is a great idea. 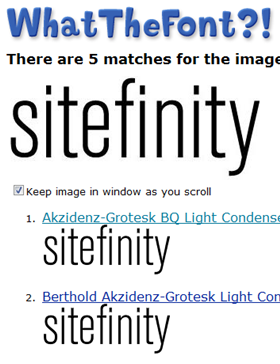 Thanks to this tip, I now have a logo for Sitefinity Watch. Hooray!